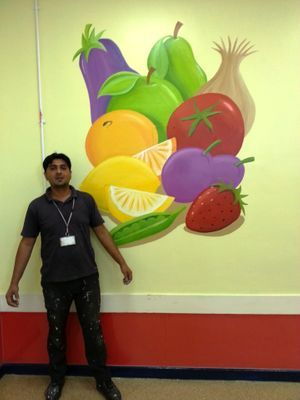 This large canteen at Furness Primary school in Harlesden, London, was painted in one week. 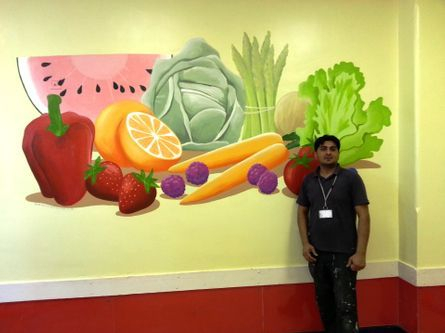 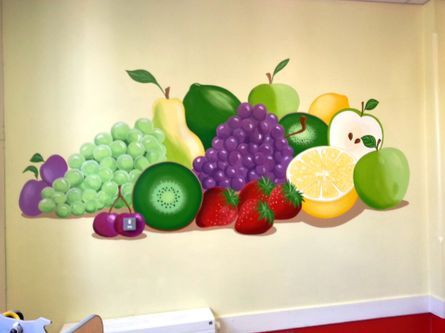 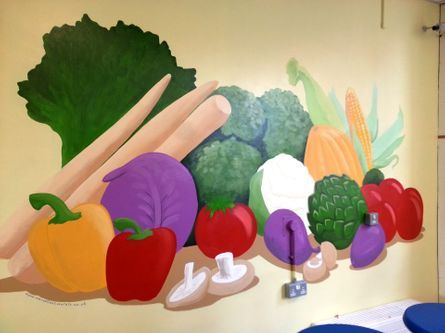 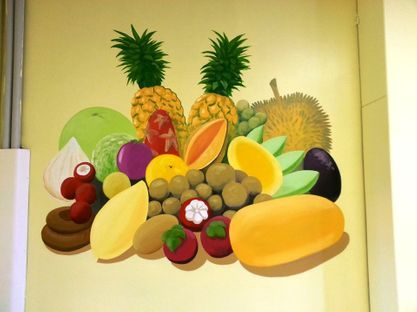 We painted the whole room in a light yellow base colour and then painted six groups of healthy fruit and vegetables on the walls. 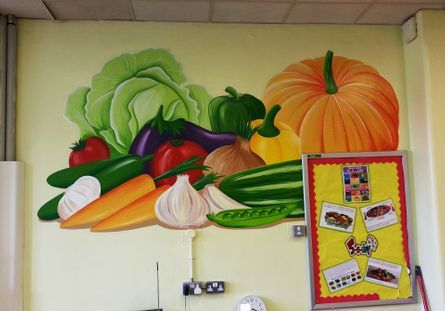 This really brightened up the room and has made healthy eating the focus.